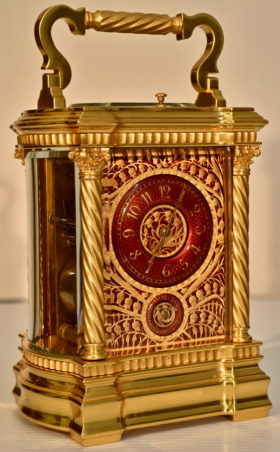 This striking gilt brass French carriage clock features a bold red enamel dial, residing in a large bow sided anglaise case with Corinthian capital twist columns. 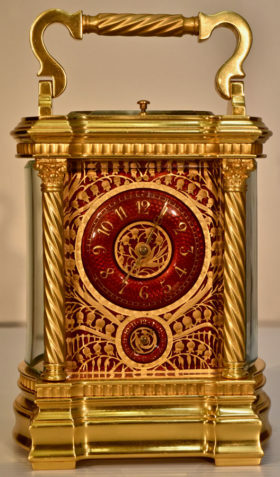 The focal point of the clock is a vibrant red engine turned convex dial, surrounded by a pierced and engraved dial mast with a lily of the valley motif. 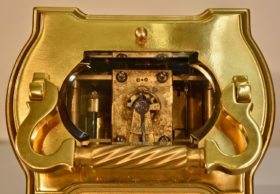 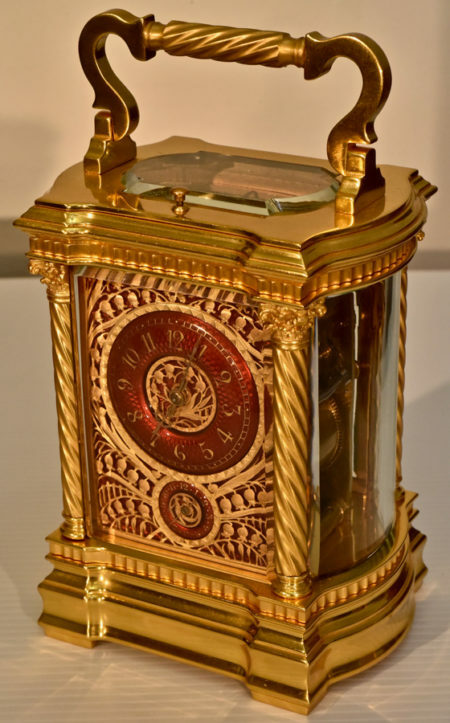 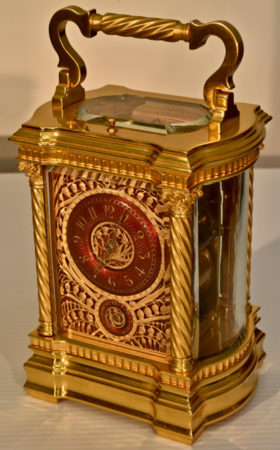 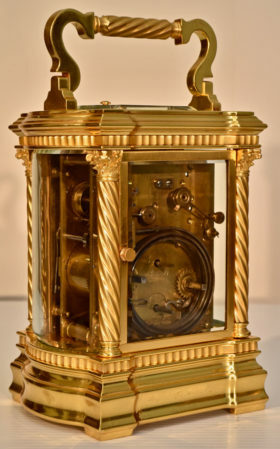 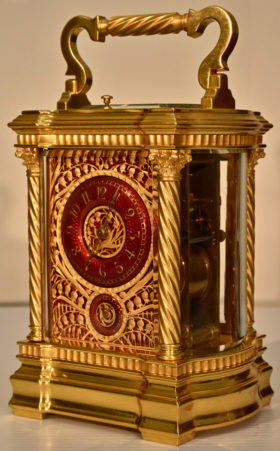 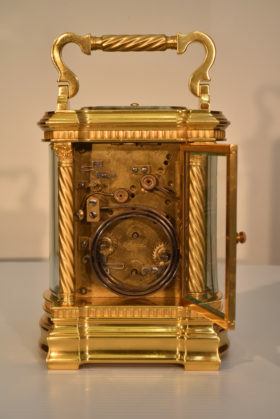 The timepiece features a Grand and Petite Sonnerie quarter hour strike on two gongs, and an alarm and repeat at will feature. 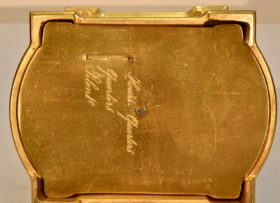 The clock comes complete with its original leather carrying case and key.